If you been following us on Instagram....or Facebook...or Twitter (any social network really) you've probably been BOMBARDED with our Oktoberfest (slightly tipsy) happy snaps. 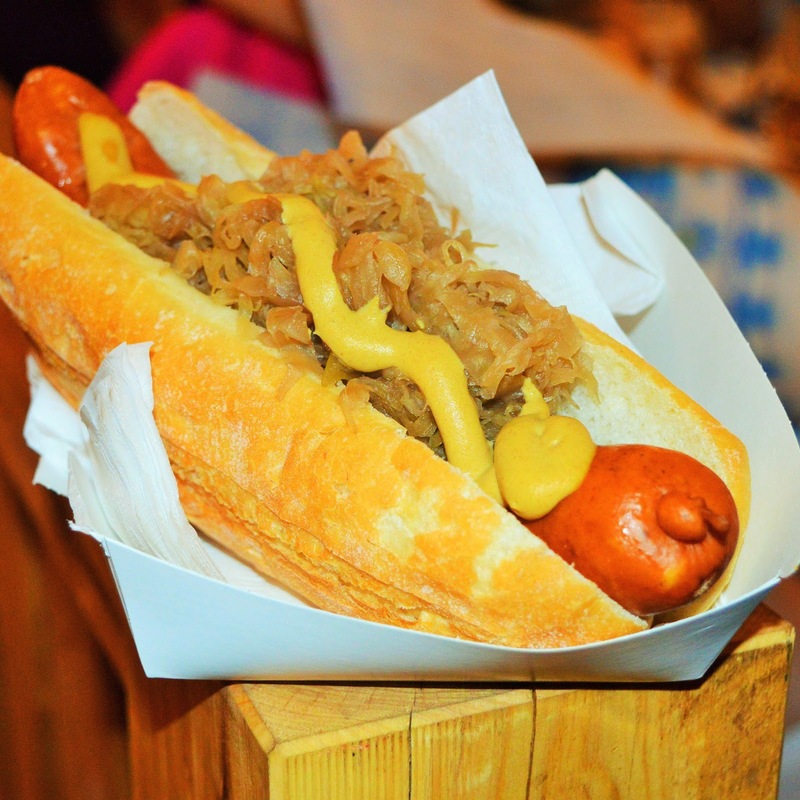 Did you check out Oktoberfest Brisbane 2014? After attending last year and looking like a total outcast in my regular, everyday clothes.... I was determined to find an awesome drindl before Oktoberfest rolled around. Of course, being the professional procrastinator that I am I waited until the day before to actually purchase my outfit. Lucky for me, Costume Collection offers FREE NEXT DAY SHIPPING! After finding the most perfect drindl online (Click Here To View) the very helpful timer at the top of the Costume Collection website let me know I had 1 hour to order my drindl if I wanted it to arrive by tomorrow. Happy to report it arrived on time and was very true to size! It came with a cute hat which Darrell wore since he absolutely refused to wear a lederhosen. We planned on drinking....alot. So we took public transport to the Showgrounds. That was an interesting trip! We were the only people on the train in Oktoberfest gear. 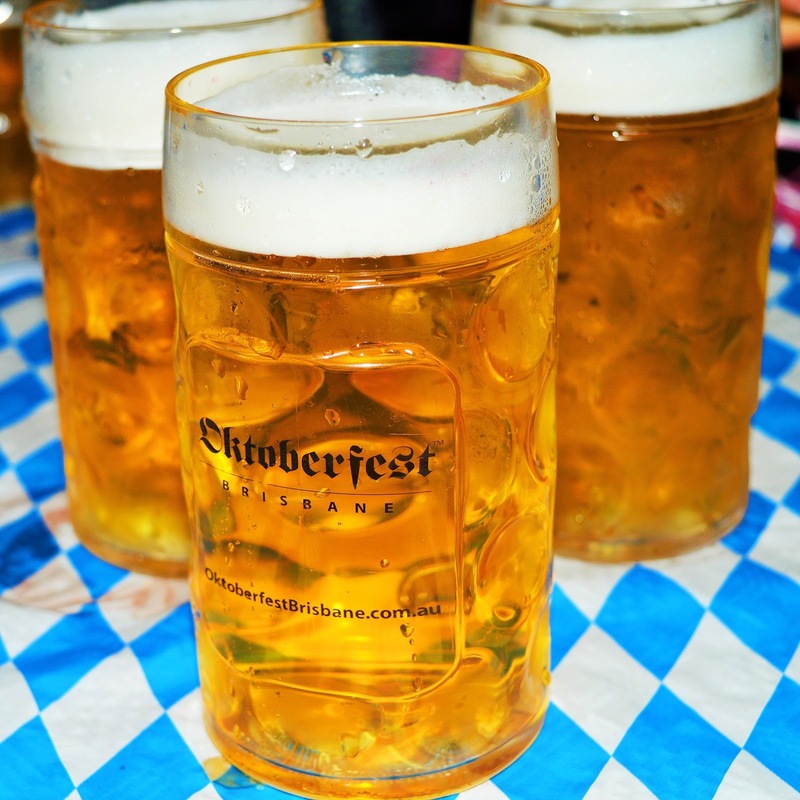 We got plenty of crazy, shifty eyed looks from people who just don't get the whole Oktoberfest thing. 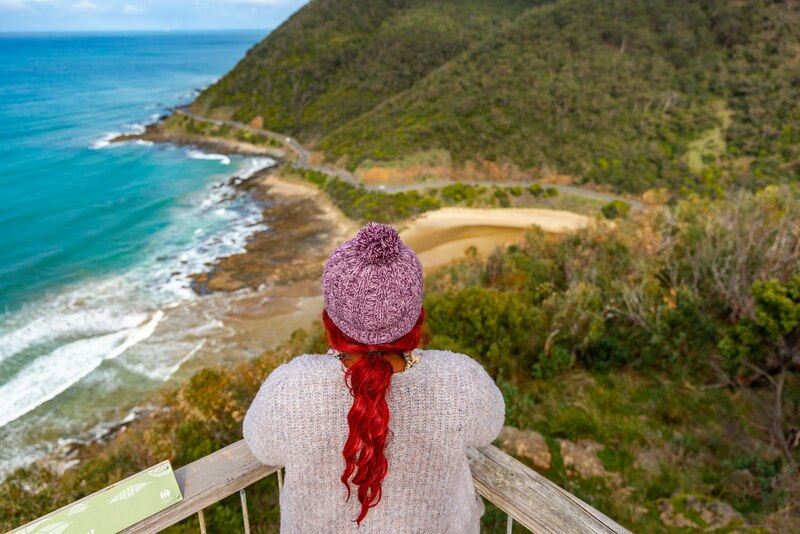 So, if you are one of those people this post is for you. 1. Icy. Cold. German. Beer. If you don't like beer...well...I don't even understand you. I mean giant pretzels have to be one of the most useful foods ever invented. They go great with beer. You can dip them in things... like cheese. They are extremely filling. 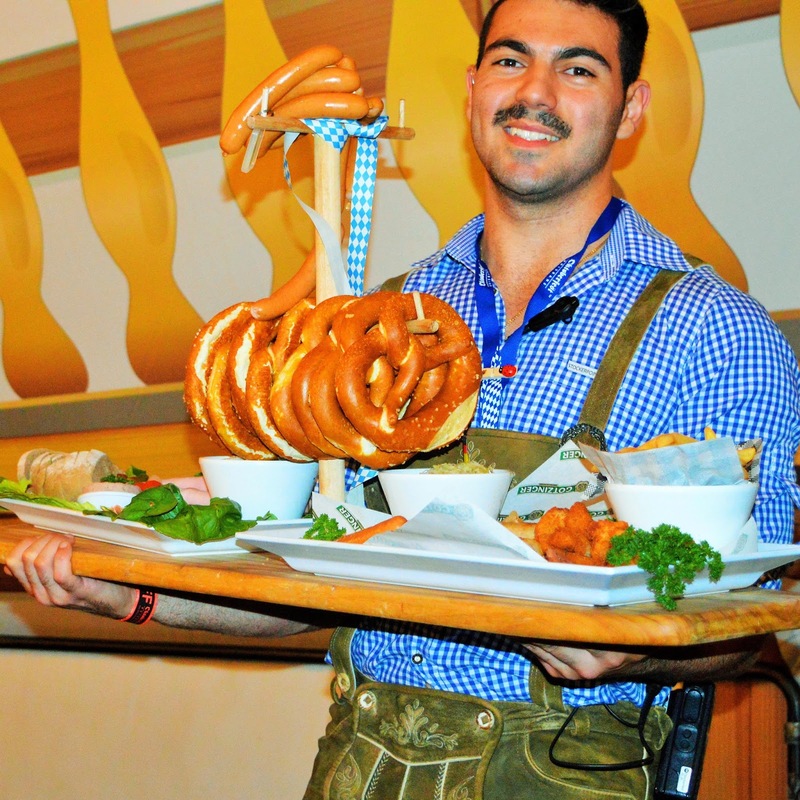 Oh, and if you have a giant pretzel in one hand, and a stein of beer in the other you instantly look like a boss. The Pork Knuckles were especially tasty this year. Perfectly golden crunchy skin on the outside, beautiful tender juicy pork on the inside. 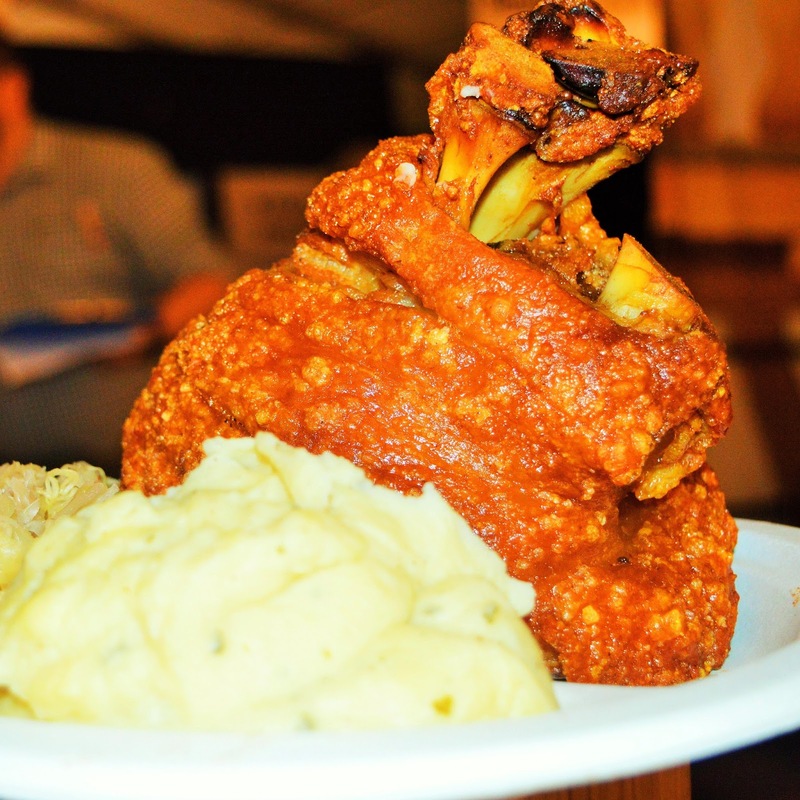 If you are thinking the Pork Knuckles are all bone you are in for a pleasant surprise. So much meat...this dish can be shared between two people and even then you may have trouble eating it all. For only $25 its a steal! 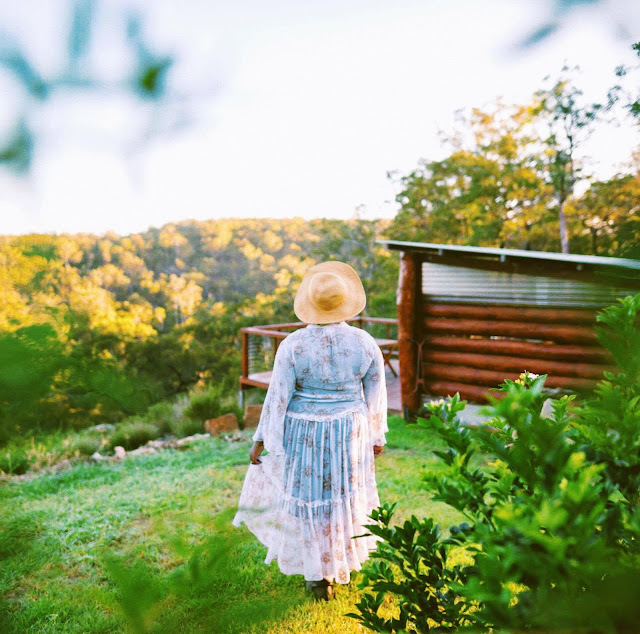 Whether you are opting for a more authentic look....or how do I put this nicely....let's just say non-traditional look dressing up for Oktoberfest Brisbane is essential. 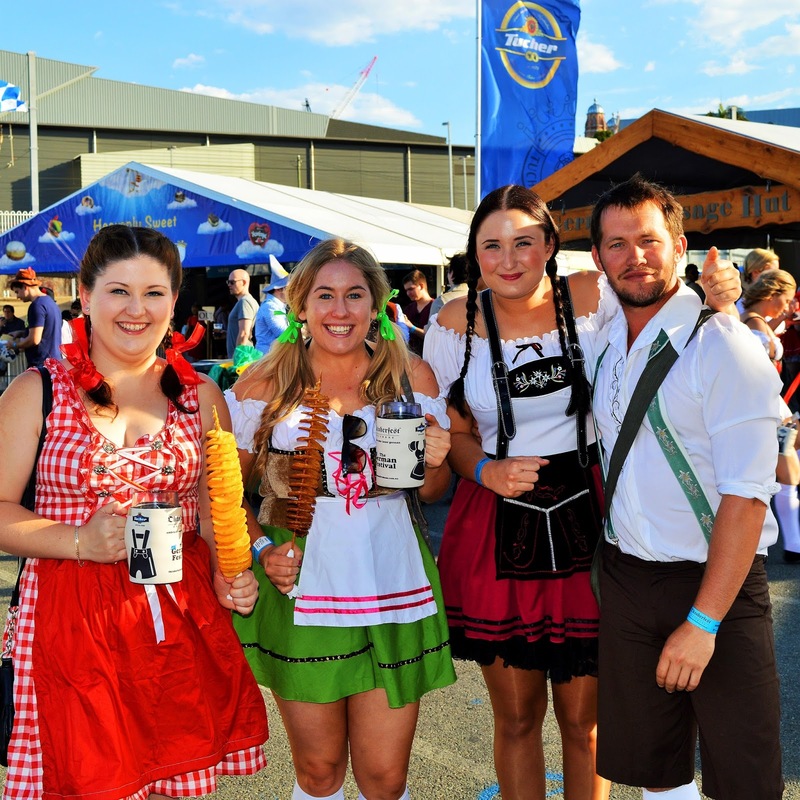 When everyone is decked out in their Oktoberfest gear the Brisbane Showgrounds transform into a colourful, magical place. After a few beers you'll swear you are in Munich! Don't mess up the vibes with your regular clothes! 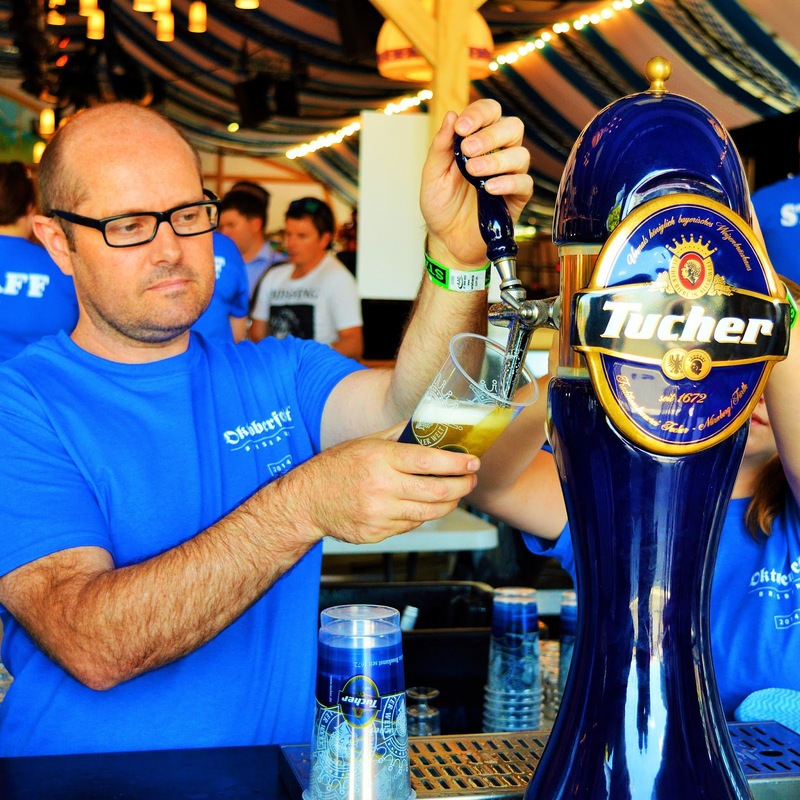 VIP is the way to go at Oktoberfest Brisbane. If the price is a bit too steep for you I recommend saving now for 2015 because they are totally worth it. It gets pretty crowded in the main seating area, and the tables get snapped up very quickly. Save yourself from the stress of worrying about whether you and your mates will find a seat. 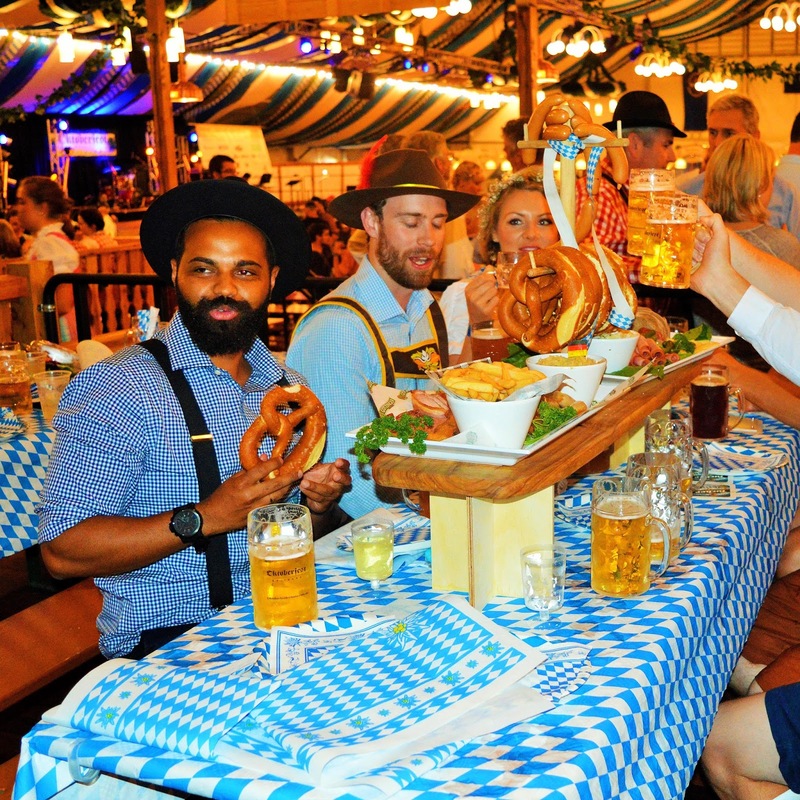 Totally immerse yourself in all that Oktoberfest Brisbane has to offer and purchase a VIP table. The table is yours for the entire day. You can come and go as you please. The table comes with a German feast and a couple rounds of drinks! If somehow you manage to eat your ENTIRE platter and are still hungry. 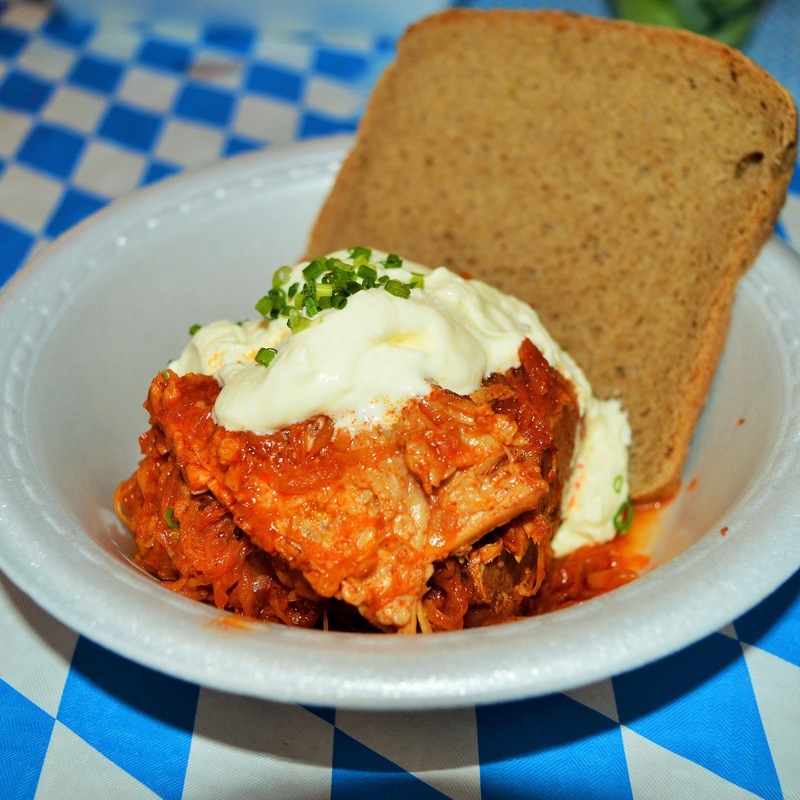 Purchase one of the delicious German dishes from the menu on your table and they'll bring it to you. No need to get up! We danced the night away to the sounds of the delightful sounds of the Munchner Buam Oktoberfest Band. The band flew in from Munich (Yes, they were the real deal). They kept the crowd on their feet with traditional and modern jigs like- In München steht ein Hofbräuhaus, Anton aus Tirol, Fliegerlied, Chicken Dance to Country Road or Rockin’ all over the world. The talented mother/daughter team, Heidi and Adeline, tought us all how to yodel...or at least they tried. They were mesmerizing and slightly hypnotic to watch. How do they do that? We spent the rest of the day trying to mimic them. The were German fashion shows, a roaming accordinist, and excessive amount of leg slapping! 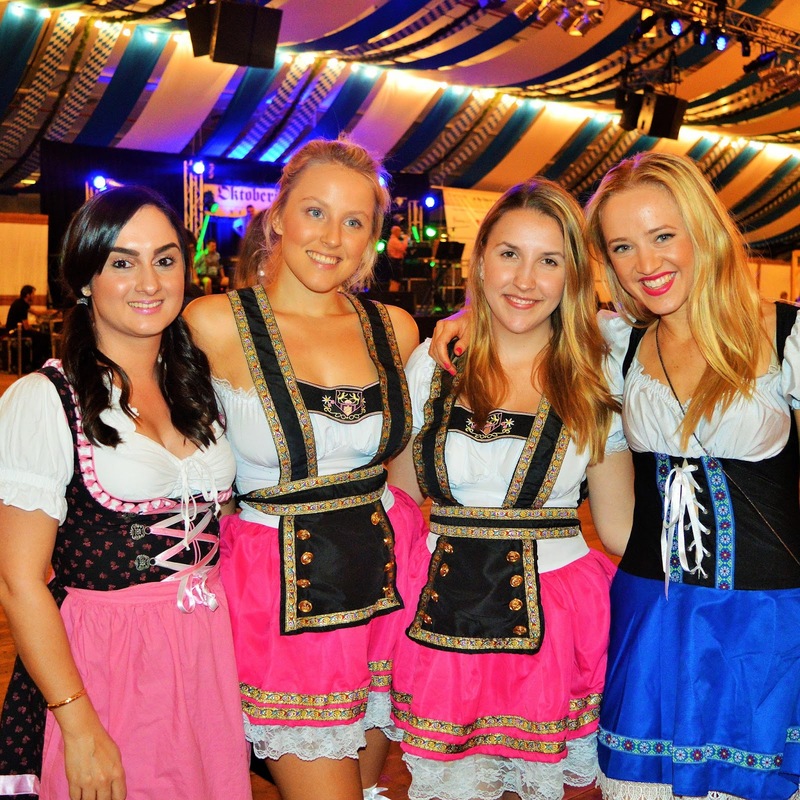 The only thing I didn't like about Oktoberfest Brisbane is that it had to end! 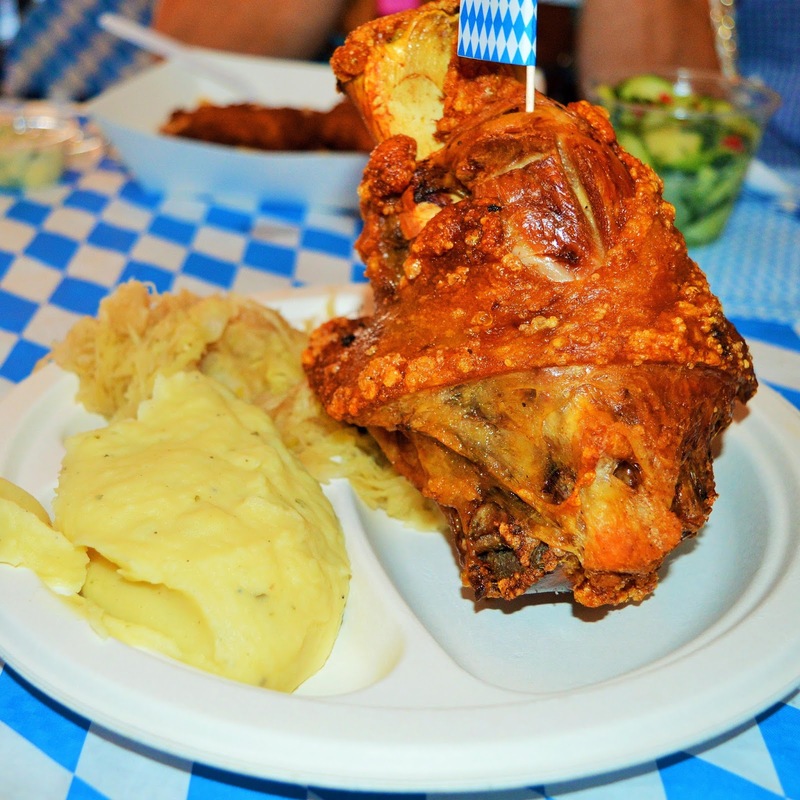 So to all you Oktoberfest cynics out there it's about time you embraced your inner German. Prost! 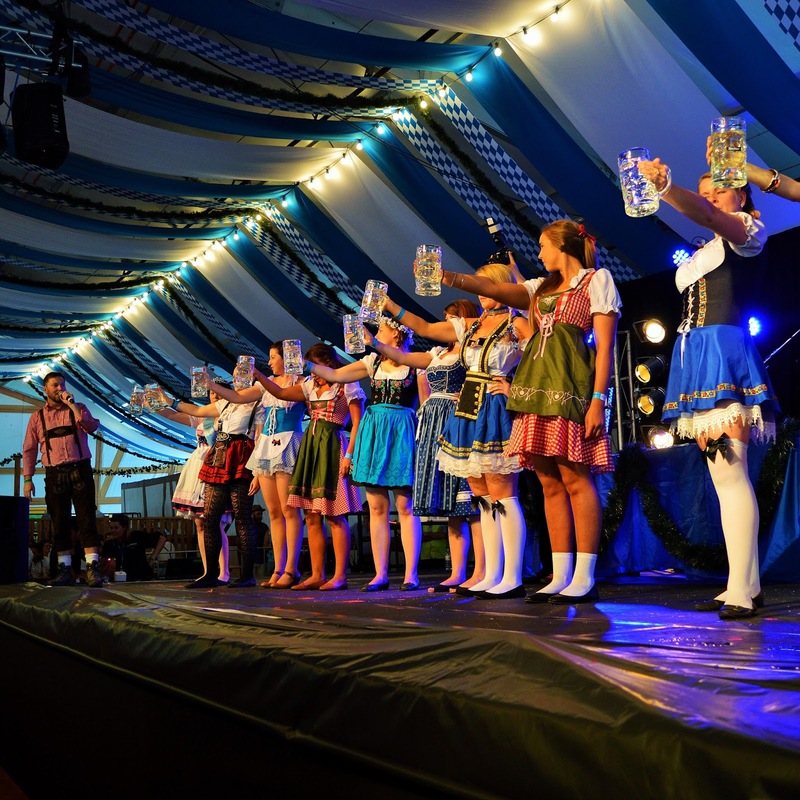 See you at Oktoberfest Brisbane 2015. 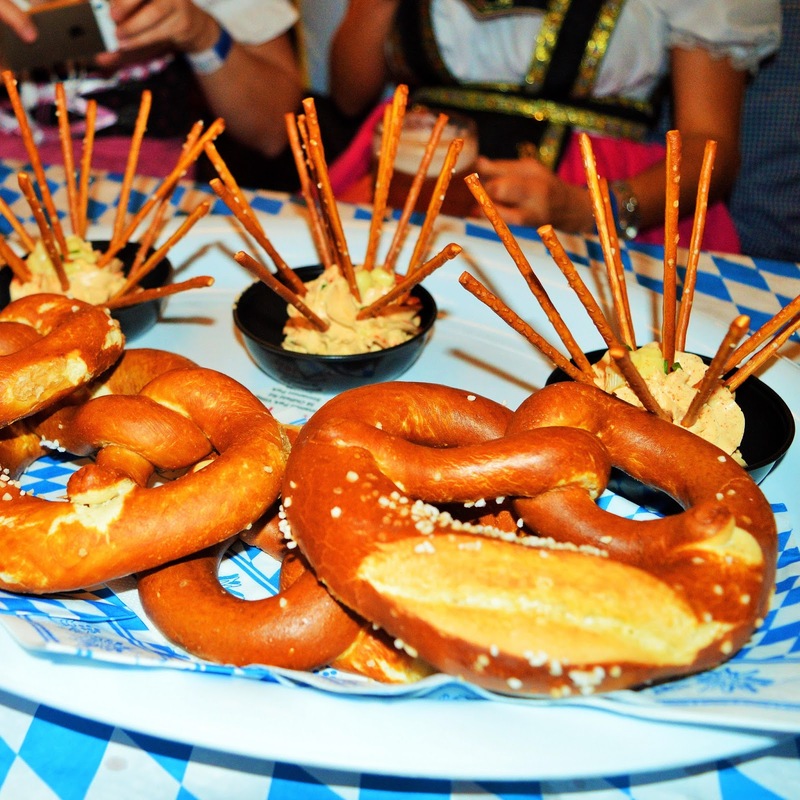 *AmeriAus was provided with media passes to Oktoberfest Brisbane. All opinons expressed are our own.